When most of us are building a home or office, we don’t put much thought into the type of locks that we choose. Most locks have the same mechanism: insert the key, turn, open the lock. There can’t be many variations in security, right? Actually, a number of factors can play into the security level of your locks, from age to make and model to the installation process. Mortise locks provide additional security that you don’t get with other types of locks. Unlike many locks, which are installed through the door or bolted to the door frame, the mortise lock is actually installed inside the door. A section of the door is cut out, with the lock installed inside this pocket. These locks tend to last longer and more complex than cylinder locks, making them less vulnerable to burglars and lockpickers. But due to their complexity, it’s best to find an expert to handle the installation process. If you’re looking for a residential or commercial locksmith to install mortise locks, Georgetown Locksmith Pros is proud to offer some of the best lock services in the area. With a trained team of experts and state-of-the-art tools, we’re committed to providing you with the best service for your money. Even the strongest locks suffer from everyday wear and tear and eventually need maintenance or repair services. Or maybe your locks suffered damage during a break in and need repairs. No problem! Just call us and our emergency locksmith team will be right there. 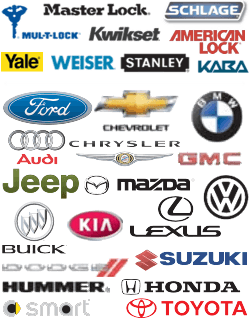 We provide full repair and installation services for mortise locks, as well as cylinder locks, deadbolts, keyless entry systems, and more. We can also quickly rekey your locks if you have lost your key. Do You Run A B&B In Georgetown? Another great aspect of a mortise lock is that comes in a variety of styles that can be matched to the decor of your property. If you run one of the many beautiful Bed and Breakfasts in Georgetown, consider updating your doors with mortise locks for the perfect combination of style and security. 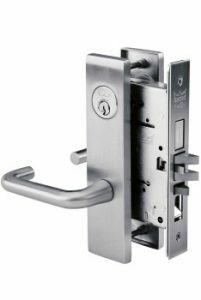 Mortise Locks https://georgetown-locksmith.co/lock-services/mortise-locks/ 3.6/5 based upon 10 reviews.